Even with the wealth of knowledge available online regarding social media advertising techniques, the amount of potential variables can mean that generating a positive Return on Investment isn’t as easy as it may seem. Check out some key pitfalls to avoid to make sure your digital ads are driving business results! One of the many benefits of social platforms such as Facebook, Instagram or Linkedin is the large amount of content and media available for consumption. At the same time, this can be a roadblock when it comes to creating ads or content for your business. It isn’t easy to stand out, so it’s important so start with the correct strategy to prevent a waste of time and money later down the line. At Effector, no matter the project, we always start with two core components as part of our initial strategy; Objectives & Audience. Setting digital objectives that actually align with your overall business goals is so important but is often overlooked. Social media reach or content engagement may not always be the best indicator of success. For example, if your business objective is to drive more B2B clients, leads generated via your website or engagement with Linkedin Ads might be the best focus. If you’re selling products via an e-commerce store, Clicks to Website or sales via your Facebook Shop might be the best place to start. Other objectives can include Awareness, Clicks to Website, Conversions, Visits to Your Store & many more. Social Targeting has brought a significant shift in digital marketing, with the ability to pinpoint exactly who you want to reach with your content, on both a geographic or demographic basis. For example, if you want to run a campaign aimed at mothers in Dublin with young kids, you can do it! 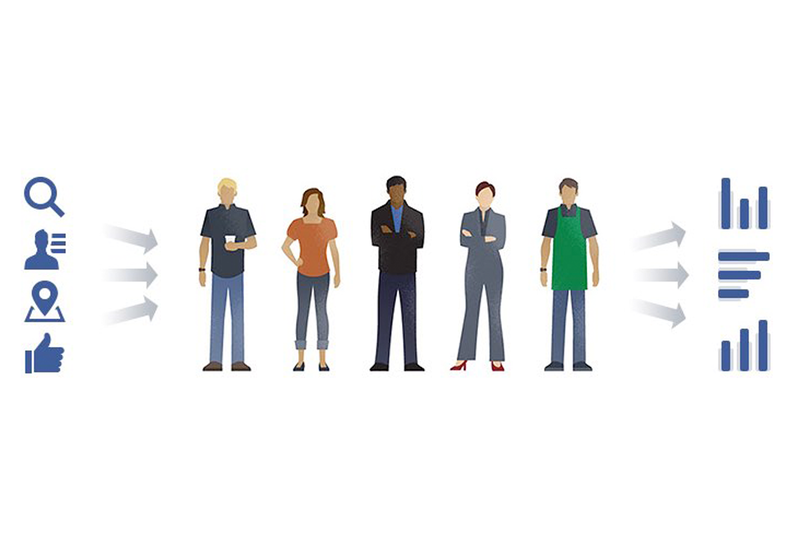 This can be difficult if you’ve a lack of understanding regarding who your customer actually is. For targeting to be most effective, you’ll want to know as much about your audience as possible. If your ads aren’t targeted specifically at your audience, you’ll be paying for clicks that don’t actually drive your business forward. It’s also important to differentiate between your buyers and consumers. Are the people that are using your product and service the same as those who make the decision to purchase? In addition, If you’re targeting a very specific audience with a particular ad, this offers opportunities to speak to their needs. If you’re using copy and messaging that is too general, this could be a missed opportunity. One tool that’s great for making your targeting more effective is Facebook Audience Insights, a tool by Facebook to help marketers learn more about their target audience. You can use their search tool to determine the estimated size of a particular audience, generate insights from those already connected to your page or use their “Custom Audience” feature to upload your email list and generate insights you can use to target ads at the same group. One mistake a lot of brands make is asking too much of your audience too early. This is a tenet we try to work by, provide value before asking for something in return. 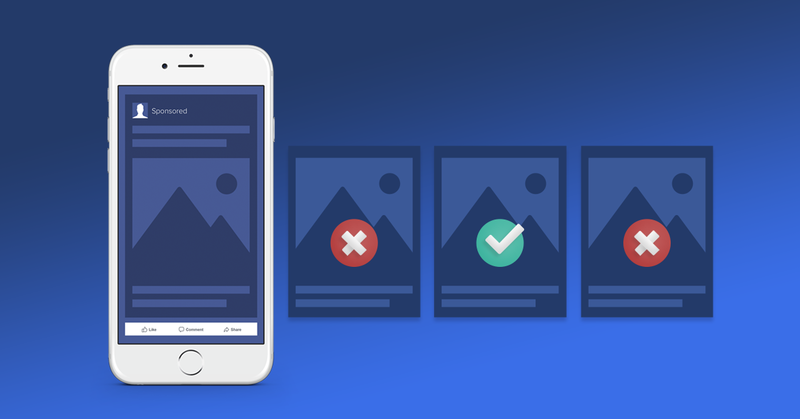 An example of this pitfall could be trying to drive traffic towards your website product page or lead form before you’ve demonstrated why a potential customer should take the time to do so. It is important to appreciate where your customer is in the sales cycle. Providing value first in the form of engaging content or helpful information means that by the time you’re moving to the close phase, the audience is familiar with you and engaged, how you could potentially help, likely to buy and ready act. Your visual content is the foundation upon which your digital marketing strategy is built, as it’s often your first opportunity to engage a potential customer. For this reason, creating solid, consistent visual content should be a key element of your digital marketing strategy. While platforms certainly reward campaigns or ad accounts that have existed for a longer period of time in the form of higher Relevance Scores (we’ll talk about this later! ), it’s still very important to keep things fresh on the visual side. Try to keep a mix of simple photo or video based creatives as well as some graphic-based designs and see what converts best for each audience. If you saw the same style of ad or post from your competitor, would you truly be compelled to act? If you’ve ever used Google Adwords , you’ll know the value of your Relevance Score as an indicator of how effective your campaign will be. While it’s not as widely known, platforms such as Facebook and Instagram have a similar Relevance Score. 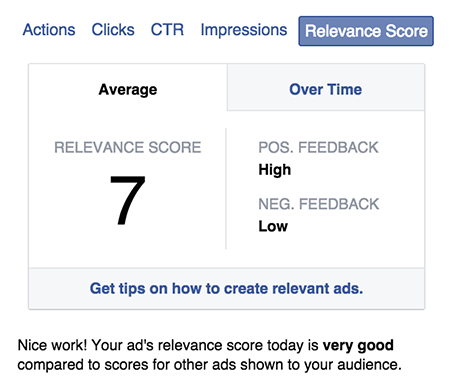 While advertising platforms have always remained discret regarding the exact formula to get your ad noticed, Relevance Score is one of the best indicators. One way to dramatically improve relevance scores is something we’ve already talked about, targeted. Based on testing from platforms such as AdEspresso, A better targeted ad can result in a higher relevance score and a much lower cost per click (AdEspresso). We hope this has been valuable in making your digital advertising more cost effective and objective focused. If of interest, feel free to reach out for a free consultation and learn how we can help you drive business results through social media.